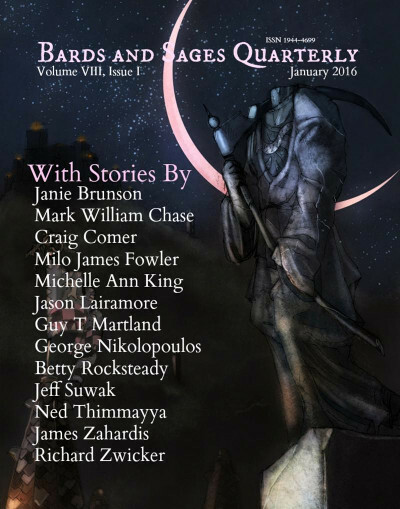 My steampunk fantasy short story, The Clockwork Horseman, is published and available now on both Amazon and Lulu and it can be found in the anthology Devil’s Armory III. Alas, there does not appear to be an e-book version! Oh well. The story will one day be available in e-book form whenever I compile and release my collected short stories. 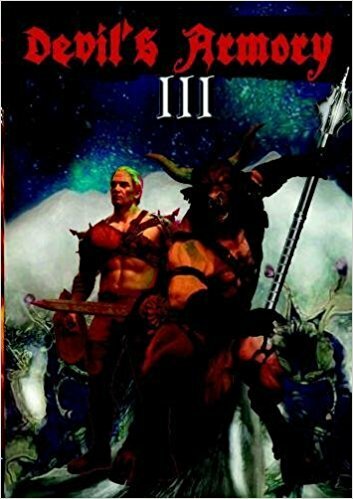 In the mean time, you can order the printed version of Devil’s Armory III from Amazon or Lulu. 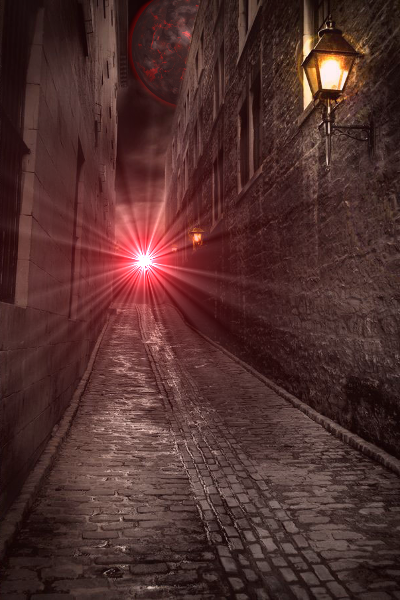 My dark science fantasy short story, The Door at Alley’s End, has now been published in the February 2015 issue of Beyond Science Fiction. 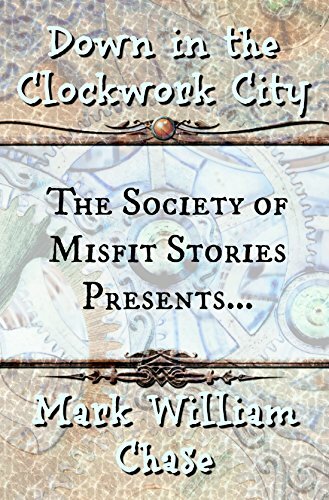 If you want to check it out, and read some other good stories from a few lesser known writers, then go get yourself a copy at Amazon today! I have just completed a major overhaul of the Mythania site, and things should be looking a whole lot better now. The web site menu, layout, navigation, and other features should be a lot easier to interact with, and I also have an image gallery up, so take a look at that as well! Don’t forget to drop by the Guestbook and let me know what you think. I have revised my essay on the Capitalization of Fantasy Race Names. With further consideration and additional research, I have determined that my original conclusion — that the race name should be treated as a proper noun — was wrong. Instead, fantasy race names are really common nouns, and in most situations should be lower cased (in other words, Tolkien was wrong — so there). Rather than posting a revised essay, I have updated the old one, primarily due to the number of link backs from other sites and forums which are referencing that essay. Anyway, go ahead and check it out. Starting today, you may notice a somewhat new look-and-feel for the Mythania web site. I have struggled for some time with the conundrum of capitalization as it concerns the names of fantasy races. As a reader, I never really paid the matter much thought; as a writer, the issue never seems to stop troubling me. If you are an avid fantasy reader, you may have picked up on a few contradictory patterns here and there — especially in the works of a certain preeminent author of classic fantasy literature. If you are an avid science fiction reader, you might wonder what all the fuss is about — after all, in science fiction every alien species is capitalized. At least they are for the most part, with the glaring exception of humans (but aren’t we humans an alien species, too?). For me, the issue of whether or not to capitalize the name of fantasy races is primarily of concern as it relates to the various races particular to my fantasy world of Mythania, so this essay will use some examples from that setting. However, I am confident that a full understanding of the problem and the proposed solutions in this essay will help many other aspiring fantasy writers, as well, since a quick web search reveals no consensus and much confusion on the matter of capitalizing race names. In science fiction we are often met with capitalization on the names of virtually every alien race. We need only to look at the diversity of alien races in Star Wars, Star Trek, Babylon 5, and other science fiction universes to see an almost universal convention of capitalizing the names of alien races. Even then, “human” is rarely capitalized, perhaps due to editors striking down any attempt to uppercase “Human” , and partially due to the fact that it just looks wrong after years of instruction to lower case it. A number of writers circumvent this heinous problem by employing the terms Earthling, Earther, or Terran in place of the word “human”. Because of this universal convention of capitalizing alien race names in science fiction, I have tended to capitalize the names of my various fantasy races such as Eldrien, Dworgh, Scaithi, Ogre, and Goblin. In addition, the name of virtually every human race is also capitalized, such as African-American, Hispanic, Asian, Caucasian, and so forth. Thus, it seemed to me that capitalizing fantasy race names was undoubtedly correct. That is, it seemed correct until I realized that it would force me to capitalize “human” as well. This resulted in such odd looking sentences as: “it was clear to the Eldrien that the Human would not help him hold back the Goblin onslaught.” Obviously, the word “human” should not be capitalized here, or anywhere else for that matter. Other race names, such as Goblins, Ogres, and Giants also look a bit odd when capitalized. But why should this be? To answer this quandary, we first need to determine whether or not we are talking about races or species. In both science fiction and fantasy, the terms “race” and “species” are used interchangeably, or, more often than not, “race” is just used when “species” is actually intended. In short and simple terms, a race is an ethnic group within a particular species, while a species is a broad category of related organisms that can breed among themselves, but not with other unrelated species. Vulcans and Klingons, for example, are not alien races–they are alien species (although, oddly, they can still breed with humans, even though that should not technically be possible). Alien races are alien species–that much is certain. But are fantasy races different species or are they actually highly divergent sub-species within the same taxonomic genus? This is really a question that the author has to answer for his own world, but in the case of my fantasy world there are two major groups: hominid races and non-hominid races. Hominid races are the more traditional fantasy races, and are all members of the genus hominid, but are different enough from each other to be considered separate sub-species. Think of it like this–if neanderthals were still alive, humans and neanderthals would be the two hominid races on our planet. Sub-species of the same genus can often interbreed (horses and donkeys, lions and tigers, and so forth), although producing sterile offspring, which leads to the traditional fantasy staple of half-elves and the like. In addition to hominids, there are several entirely different species as well, collectively referred to as non-hominids, who are not in any way related to hominids or to each other–they evolved into intelligent species along entirely different evolutionary paths. But the point here is simply this: whether they are entirely different species or related sub-species of hominids, each of these fantasy races constitutes their own species group, within which are various ethnic groups or “races”. The next and perhaps most important point is the proper noun verses common noun issue. Is a race or species name a proper noun or a common noun? Almost universally, the common names of species are lowercased, such as dog, cat, wolf, and elephant. Likewise, the common term for our own species, human, is never seen capitalized (except at the start of the sentence, of course). The word “human” is a common noun, and if “human” is a common noun, shouldn’t goblin, eldrien, and dworgh also be common nouns? In fact, by this convention, shouldn’t klingon and vulcan also be considered common nouns and, thus, not capitalized? Confoundingly, the answer is both yes and no. Yes, the name of an alien species is a common noun, but if that species is named after their planet of origin, then the name should be capitalized just as the name of their home world is capitalized. For example, let us make up the name Xorthergon for the multi-tentacled, six-eyed inhabitants of the planet Xortherga. Why then would Xorthergon be capitalized while human would not be capitalized? Because Xortherga is the name of a planet, then Xorthergons are the people from the planet Xortherga. However, a kalcaltrox, which is a six-legged reptilian creature also from the planet Xortherga, should not be capitalized — it is simply the name of a species and thus a common noun. Thus, it is indeed correct to capitalized Vulcan, since Vulcans are the people from the planet Vulcan. On the other hand, it is technically incorrect to capitalize Klingon, as Klingons are not from the planet Kling — they are in fact from the planet Qo’noS. Oh well. Consistency is important, but the rules of the English language take precedence, at least when writing in English. Unfortunately, English is perhaps the worst language when it comes to matters of consistency. Nevertheless, one thing is certain: a noun is a proper noun if it is a specific place, an individual named thing (like a person’s name), or a unique entity. Species do not fall into this category, unless the species itself is named after a proper noun (as is the case for most science fiction races/species). Unless elves are from an actual place called El, Elvia, or Elfon, their racial name should not be capitalized. This is why elf, dwarf, orc, troll, and goblin are all lowercased — they are simply common nouns. However, languages, cultures, tribes, and specific designators do constitute proper nouns, and should always be capitalized. Thus, while elf (and its adjective form, elven) should be lowercased, Elven must be capitalized when referring to the Elven language. This is also true when referring to what is sometimes called a specific designator. A specific designator is a usage of an ordinarily common noun as a proper noun because the specific object in question is named after the common noun (for example, Earth’s moon is called the Moon). In more general terms, using generic fantasy race names to make the point clear, we could write “The Age of Elves had ended, and the memory of elves passed into those deep legends of the dwarves, orcs, and humans alike, until the rise of the dread Orc Empire and the return of the Elf Queen and her folk.” Of course, one way out of the dilemma is to simply not use traditional fantasy names at all. Robert Jordan, for example, refers to Trollocs (troll-like monsters) and Ogier (a peaceful ogre-like race), although that still leaves in question whether “human” should be capitalized or not. One final consideration of key importance is that of cultural, ethnic, and tribal names. Consider the cultural and ethic group names Visigoth, Celt, Hun, and Gypsy (erroneous though it may be). Visigoths are not from the land of Visigoth any more than Celts are from the land of Celtica or Huns from the land of Hun. These peoples (the Goths, Celts, Huns, etc), were not part of a single unifying nation, nor did they have a single unifying language. They did, however, have a shared or common cultural identity, originated from a common region, and had a common language basis. Apart from all other considerations, the final decision on whether or not to capitalize the name of a fantasy race or species comes down to this question: “Can the people of the race/species be identify as having a common cultural heritage, language, religion (or set of beliefs), or general ideology, that uniquely distinguishing them as a group?” If the answer is yes, their name should be capitalized as it is with Visigoth or Celt. If the answer is no, then they are not a distinct cultural group and their name should be lower cased. This is why elf, in general fantasy terms as well as in mythology, is lower cased, while Elf is capitalized in fantasy works such as Lord of the Rings where the Elves do have a common cultural heritage. Where does this conclusion leave us? Unfortunately, I still cannot say with absolute certainty when to capitalize a fantasy race name. But I can at least provide the guidelines that can be followed in determining whether a given race name should or should not be capitalized. Here are those guidelines. Capitalize the names of intelligent races/species if the story is science fiction or science fantasy, as this seems to be the convention in this genre 99.9% of the time. Capitalize the race/species if it is named after another proper noun, such as a land, nation, empire, or world, whether or not that land, nation, empire, or world is still extant. Capitalize if the members of the race/species can be identify as having a common cultural heritage, language, religion, or general ideology, that uniquely distinguishing them as a group. In science fiction (and science fantasy), capitalization holds precedence as most alien races/species are named after their home world or empire. It is only in fantasy that we have our dilemma. The common names of non-intelligent creatures, such as cats, dogs, horses, and so forth, are lower cased as they do not have a common culture. In the case of intelligent fantasy races, the deciding factor is whether they are named after a proper noun, such as a land, region, or nation, or the if they share a common and uniquely identifying culture. For example, goblins may not have a uniquely identifying culture, and the name would thus be lower cased. But the Kobgrek tribe of goblins, who may constitute the largest cultural group of goblins, would be capitalized. The same may be true of dragons, orcs, giants, and elves. Hopefully, this discourse on the capitalization of fantasy race names will be of use to someone; if not, at least it was of use to me. If anyone has any other opinions or anything to add, please feel free to post a comment. The following page shows the geographic maps of the world of Mythania. You can now find the maps here. Let’s talk about magic. While magic is probably of little concern to writers of contemporary fiction, science-fiction, techno-thrillers, and similar genres, when it comes to fantasy stories, few would argue that magic is one of the most important subjects. Poorly conceived, magic can ruin a story; well conceived, magic can add such depth to a character or setting that the reader simply cannot put the book down. But why is magic so integral to fantasy? Can we have fantasy without magic? What kinds of magic are found in fantasy? How much magic is too much magic? How little is too little? And what about the arguments from critics that magic is just a cop-out for patching plot holes and escaping impossible situations?